Quarg, or fromage frais is cheese which has not been cured or ripened prior to sale. Quarg dessert are becoming more and more popular as alternative to desserts such as custard as it is perceived as a healthy snack also due to the higher protein content and the fact that it is a cultured product. 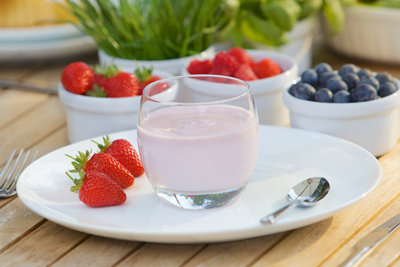 In the UK, fruited fromage frais, such as Petit Filous, are the most popular in the market today where natural quarg or fromage frais is blended with fruit and/or yogurt and it can also be found as an aerated product as an alternative to mousse products. To achieve longer shelf-life those kind of products can be heat treated before filled into final packaging. A number of approaches can be used to reduce the cost of your quarq dessert recipe and your production processes. Our team at KaTech can advise you on how to create a great product for less.